THE SAMSUNG GALAXY NOTE 9 is finally official. Thanks to the number of leaks building up to the Smartphone’s launch, we already knew almost all there is to know: it’ll ship with a new Bluetooth-enabled S Pen; will pack a hefty 4,000mAh battery; and it’ll start shipping on 24 August. Users of the Samsung Galaxy Note Series were waiting for a long time. Now the wait is over. Samsung Mobile Division Chief DJ Koh said while launching the event, Samsung is looking forward to delivering the best. He explained that how the company is moving forward in technology to give users the best experience. 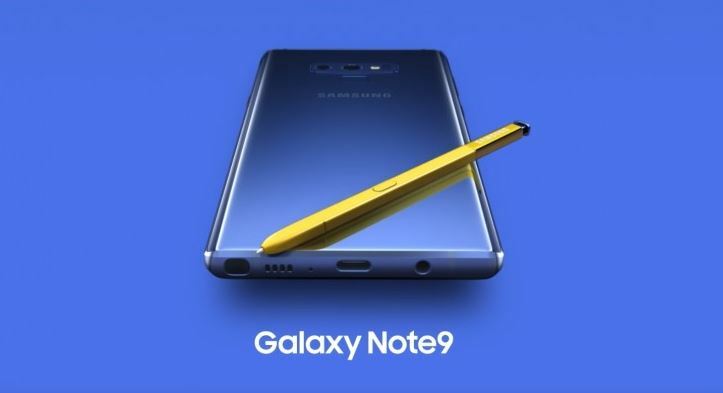 The video was shown in the event showing the look of the Galaxy Note 9. Drew Blackard started talking about the phone. He told that the Galaxy Note 9 has been updated for new generation. The phone has a 6.4-inch screen and an end-to-end display is given. It has also been named the Signature Device 2019 because it provides a great viewing experience. There is a fingerprint sensor on its rear. The phone will come in four color variants. Note 9 has 4000 mAh All-Day battery. The variant of the phone’s lowest storage is 128GB. The phone will also be available in 512GB storage. Memory will be up to 1TB with Expandable Storage. The phone has a 10nm processor. After this, the founder and CEO of Epic Games described how this phone is also a good option for gaming. He told that FortNite will be available on Android phones this week and this game will be available first on Samsung’s phone. Considering gaming, the note comes with 9-wheel carbon cooling system. 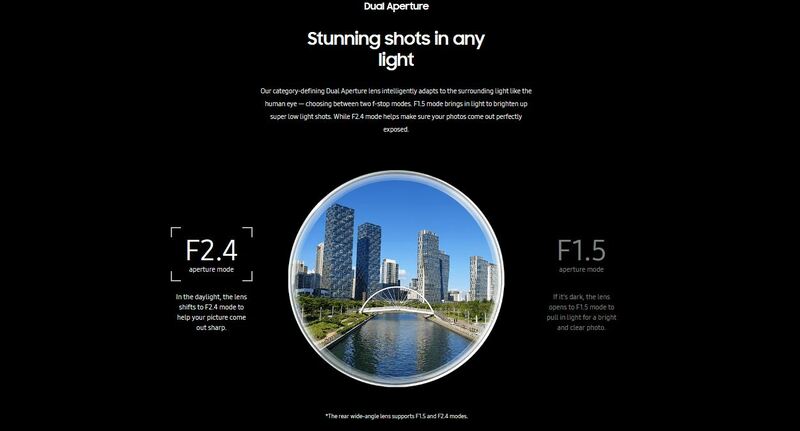 According to the company, the most powerful intelligent camera is being given in Note 9. In the 9th, there is a Scene Recognition. With this, your phone will notify you when your picture is bad. After this demo was given how the Note 9 will take pictures for yourself. With the help of S Pen in Note 9, the picture can be clicked without touching the phone. Remote control is given in S Pen. The pen has been updated in such a way that you will be able to complete many of your major tasks only with the help of pen. By clicking the photo with the help of pen, till the presentation is displayed, all the work can be done with the help of a pen. Put the pen in the side of the phone in 1 minute, it will be fully charged and will work for half an hour. Users from Samsung dex will experience PC-like experience. It can be controlled from Note 9. To do this, only one adaptor will be required. With the help of Dex, your phone can work anywhere by connecting. Even after connecting it, the phone can be used to do other things such as – text etc. This tab will work on S4 and Note 9. Samsung phones will also work without your watch. It has more than 60000 skin available from the Galaxy App Store. This is Scratch and Water Resistance. It can also be used with LTE sim. Watch with an Amoled display has a optimized processor. This watch can be used in a charge for several days. With Wireless Charger Duo it can be charged with Note 9. Samsung Watch will connect you to your home. 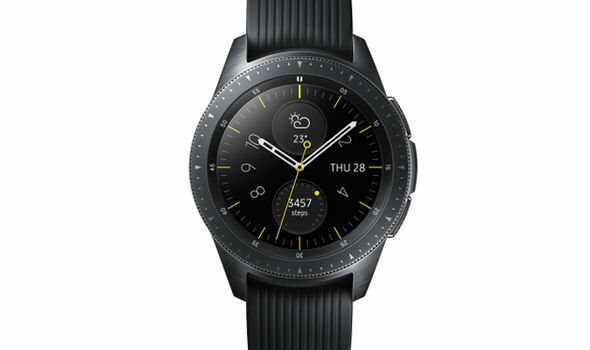 Galaxy Watch can monitor your heart rate. If the heart rate is high, then watch will alert you to breathing exercises. Through this you will be able to track all your types of exercises. Watch will keep track of your sleep pattern too. From your health to home, this watch will help you with all your work. Will also sync with the watch calendar so that you can view your own script on the watch. The Samsung Voice Assistant has been better now. Voice Assistant will now be able to talk. This means that you will not have to repeat the topic that you have started with each time. With this, Bixby will take care of your choice too. For example, if you like Italian and you are searching for restaurants then they will also suggest Italian restaurants. Like Amazon Echo and Google Mini, Samsung has also brought a Galaxy home. This has been done especially on the sound. Due to natural sound processing, its sound will look like you are sitting in a concert. Bixby Voice Assistant is also available in the Galaxy Home. It has 8 microphones in it. The company has partnered with Spotify to provide a better experience to the users. This will give users cross-platform music experiences. The company has offered a discount on this phone. If customers pre-order with Samsung’s official website or app, they will be discounts up to $ 450 or about Rs 31,000.